Bridal Originals, based in Finsbury Park, has been established for over 20 years. This bridal boutique is full to the brim with beautiful wedding gowns, both fashion and traditional, in silky satin’s, vintage lace, taffeta and soft tulle’s. There are many designs contoured in slim slinky cuts, mermaid silhouettes with fish tails, classic A-Lines, empire lines, ballgowns and Grecian cuts, with such an array of stunning dresses, we are certain you will be spoiled for choice. 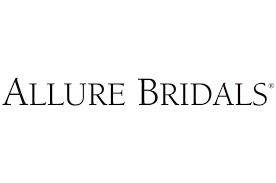 Here at Bridal Originals you will discover a treasure-trove of extensive accessories including; tiaras, veils, shoes, bags, jewellery and a desirable collection of bridesmaid dresses, flower girl and communion dresses to satisfy every one in the bridal party. We are here to serve the bride with love and attention to help make her experience memorable. With a range this extensive, we are sure a dress from Bridal Originals is the perfect way to say “I Do”. Bridal Originals, based in Finsbury Park, has been established for over 20 years. This bridal boutique is full to the brim with beautiful wedding gowns, both fashion and traditional, in silky satin’s, vintage lace, taffeta and soft tulle’s.